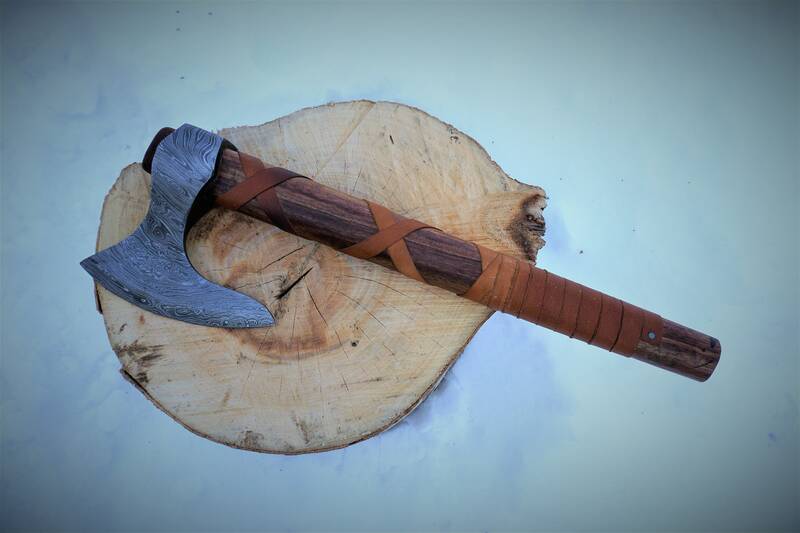 When the cold winds blow and the trees shed their last coat of leaves, this Viking Ax appears to carry the villagers of the North through the winter months. 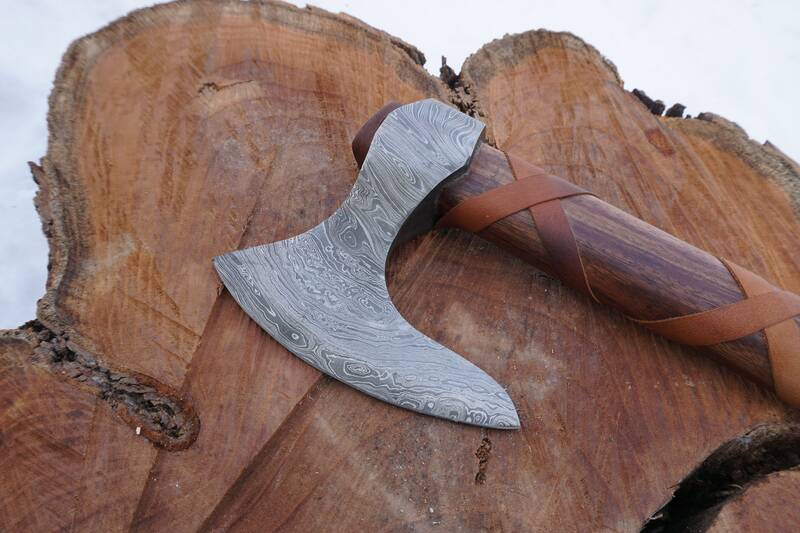 Only the mightiest of warriors get to wield the damascus blade, swirling full of Odin's blessings. It has been known to make the ladies swoon for the unwashed beards of it's owners, so be careful who you reveal it to! 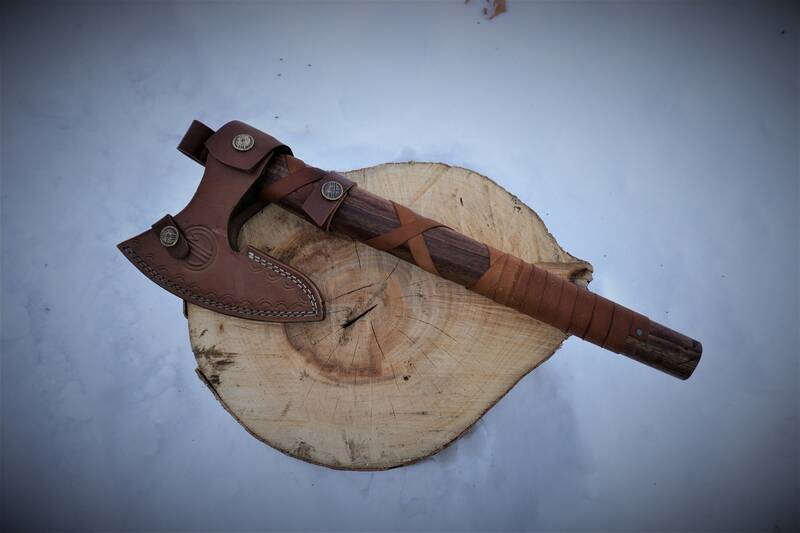 Short on stature at 18" long with a 6" rough cast blade, this gift ax is designed with beauty in mind, but is built to break stuff. 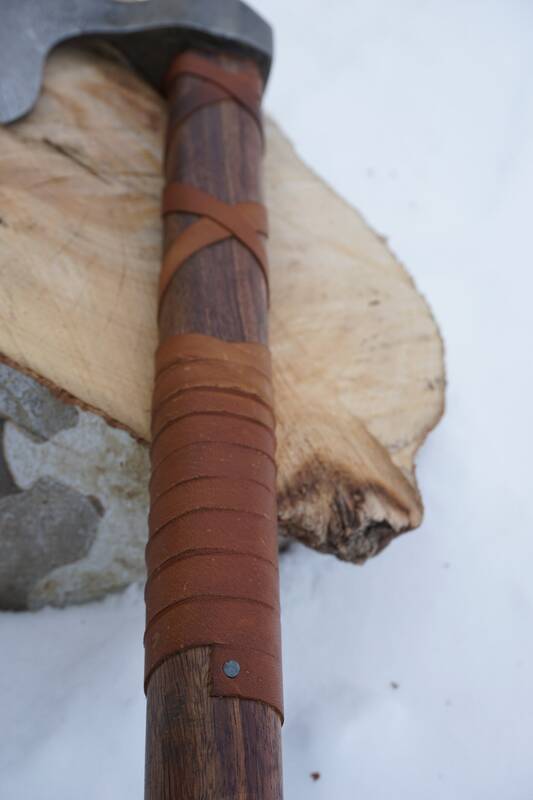 The leather wrapped rosewood handle is ready for your pillaging needs! 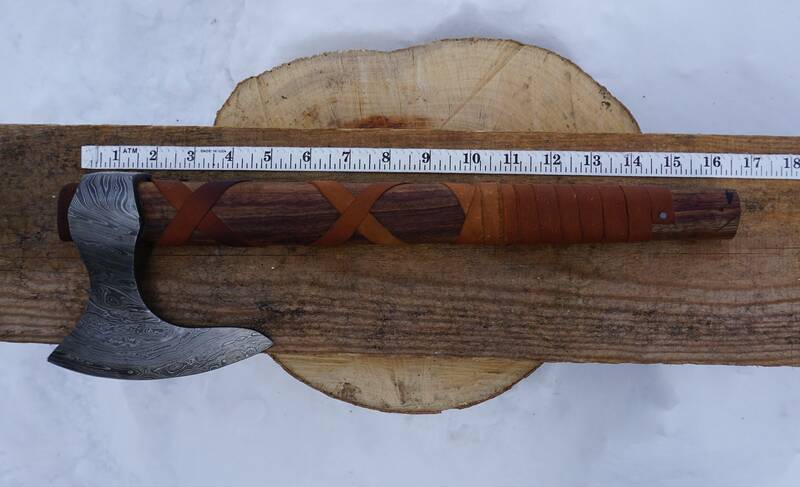 Disclaimer: This is a real ax with a sharp blade. Watch your fingers when you're chopping the watermelons for the Viking brunch. You assume all responsibility for safe use upon receipt. 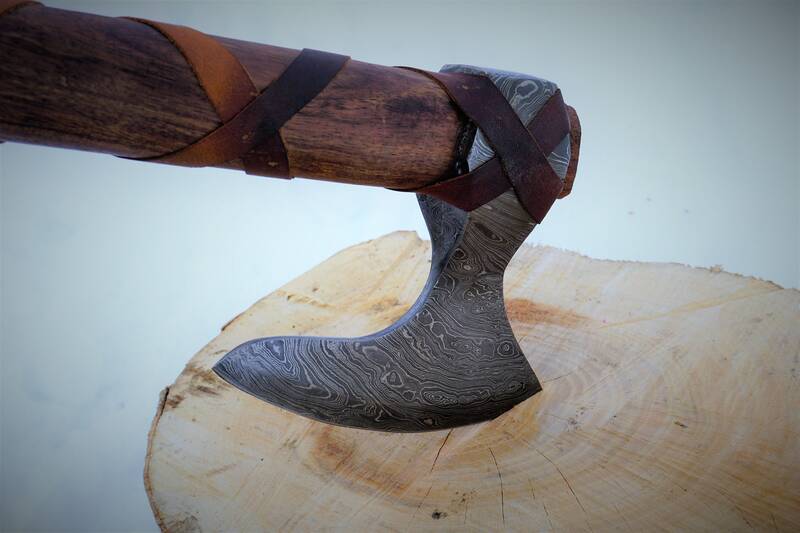 *There will be variations in the wood grain and damascus pattern. 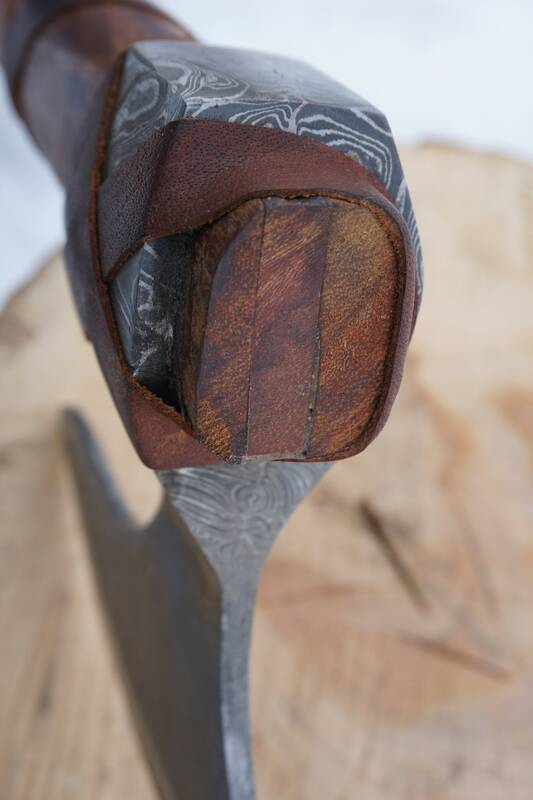 Each is hand crafted, so there may be slight imperfections. Amazing work!! 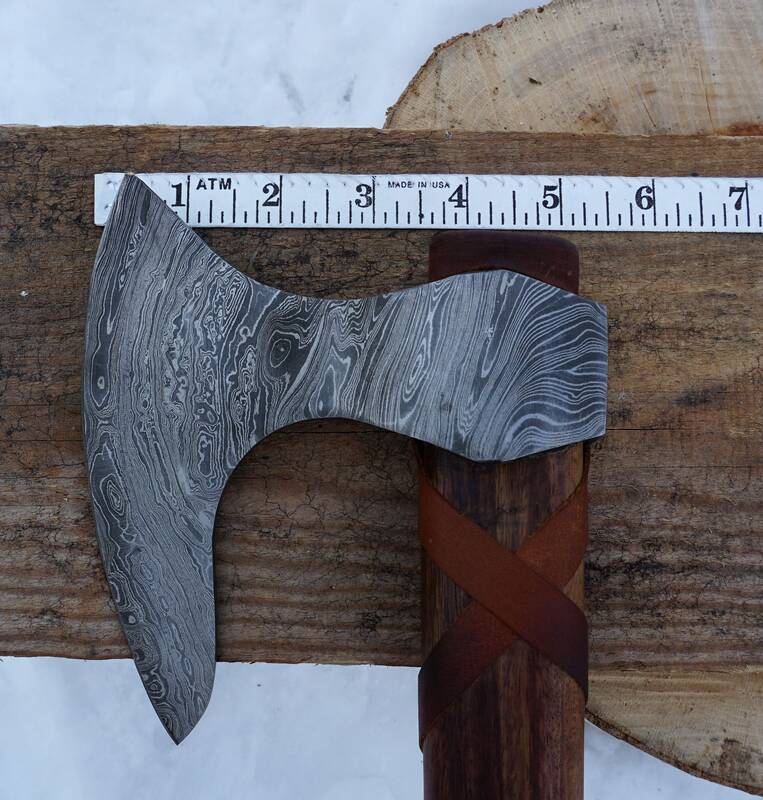 My husband loved his axe that he received for his birthday! Thank you so much Travis for helping me with my order and shipping quickly! Bought this for a friend as a graduation/Christmas gift. He absolutely loves it. 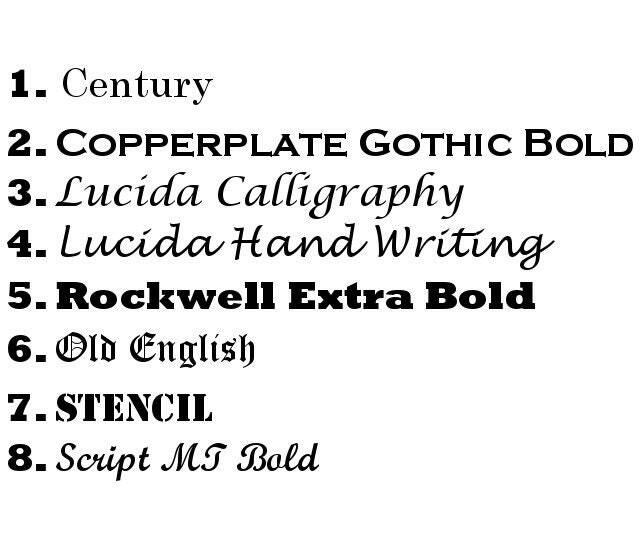 Travis did such a great job and it is a very high quality blade. A testament to Travis’ pride in his work is the fact that he gave me a partial refund because he was unhappy with a detail on just one side of the blade. Travis is a fantastic craftsmen and should be very proud of his work. I can not recommend this store enough. 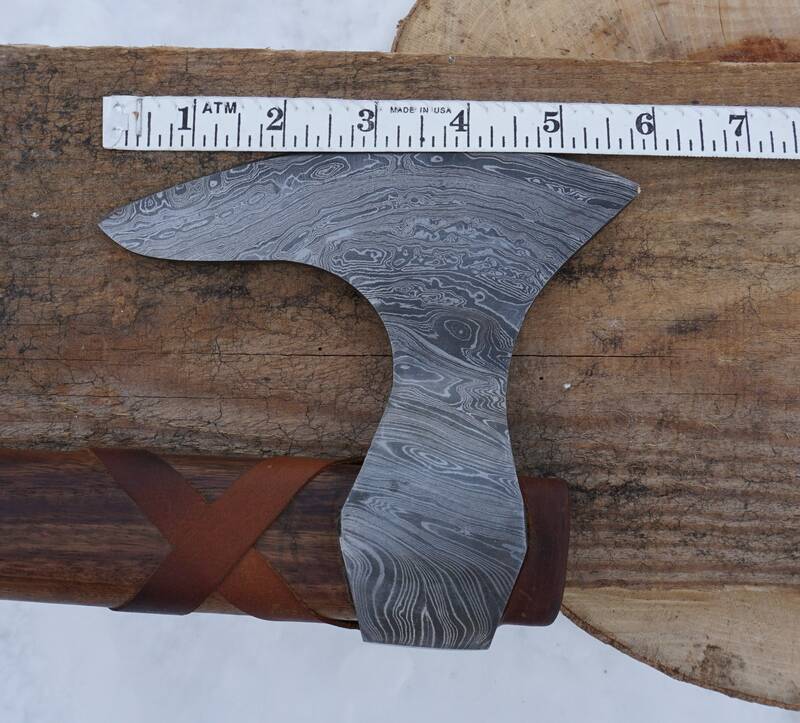 Travis is an excellent blacksmith and the AIM Blades forge is an excellent business. I look forward to what I’m sure will be many orders in the future. Bought as a gift and husband LOVED it! I got this for my husband for Christmas and he loved it!!! It came exactly as pictured and fast delivery.